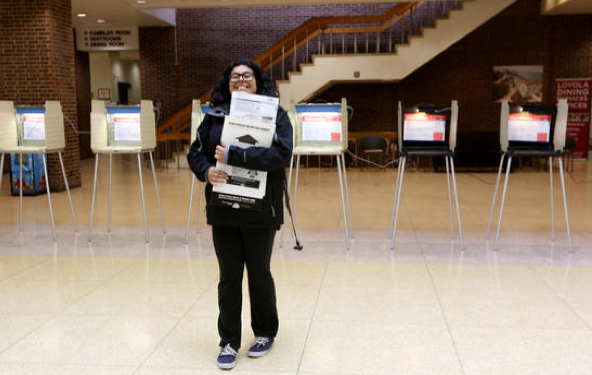 Illinois voters headed to the polls Tuesday to settle a close, contentious race for governor and decide an unusually large number of ballot questions as well as races for U.S. Senate and House, the General Assembly and the County Board. Missing election judges, confusion over lengthy ballots and fights over election code interpretations complicated Election Day for voters from the South Side of Chicago to Lake County. Attorney General Lisa Madigan obtained a midday court order from a local judge to force a change in the procedures Lake County officials were using to deal with prospective voters who came to the polls Tuesday but had previously requested a mail-in ballot.